. . . Labor of Love Pays Off Beautifully! Not every structure that we design and build is meant as a home for ourselves or our families. It can just be an adjunct or a part of a group of buildings meant for some other usage. 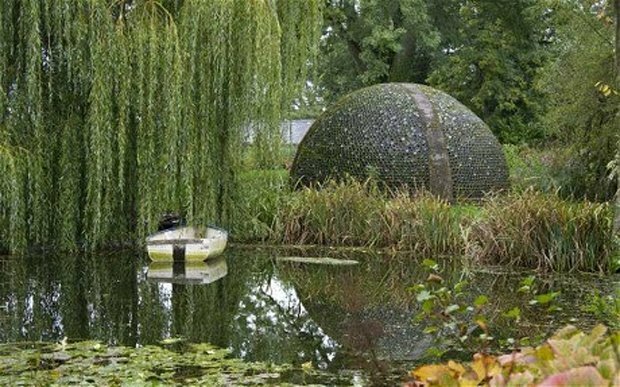 Consider the garage, a greenhouse, a detached storage structure, or a pavilion. 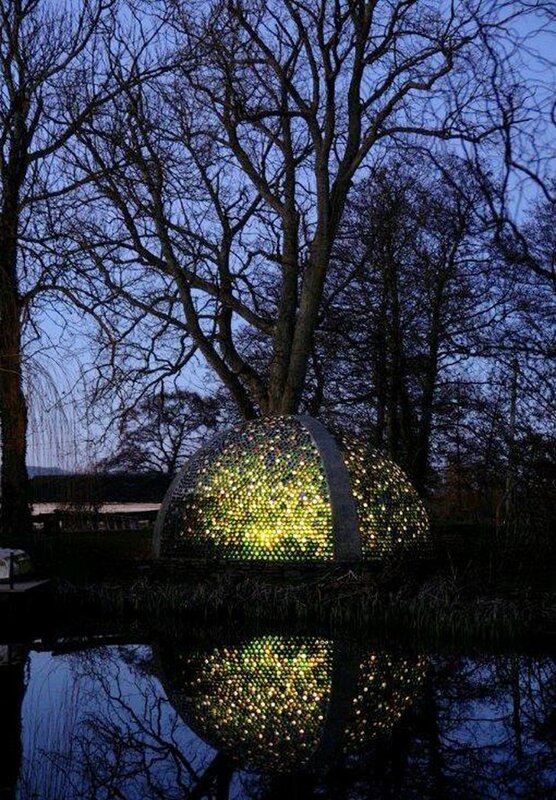 Or it may just be a structure we build to give life to a fanciful idea which we want to enjoy and experience. 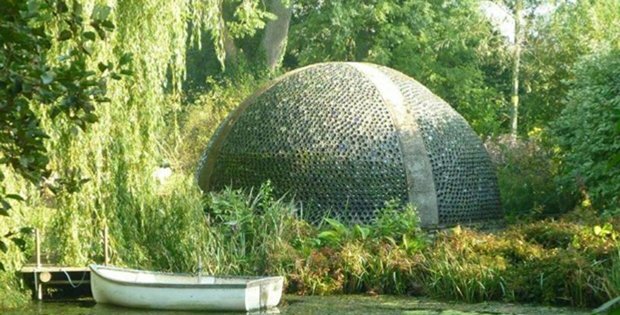 The Bottle Dome, situated on a private property somewhere in Pembroke, England, is indeed a wondrous and magical place that never fails to enchant its owner and creator, and his lucky guests. 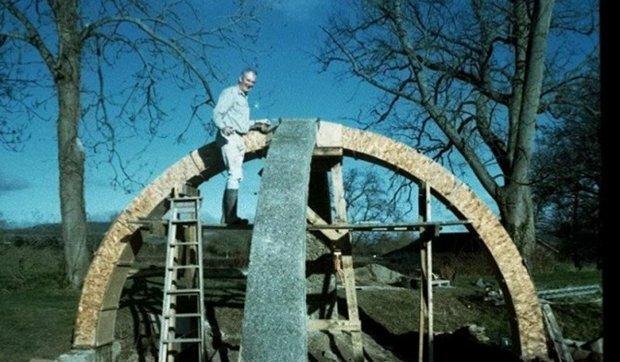 It is undoubtedly a labor of love considering the tremendous work it took to finish it, not to mention the huge amount of creative energy expended to make it a reality. So take a look at the following photos and tell us what you think on our Facebook Page! 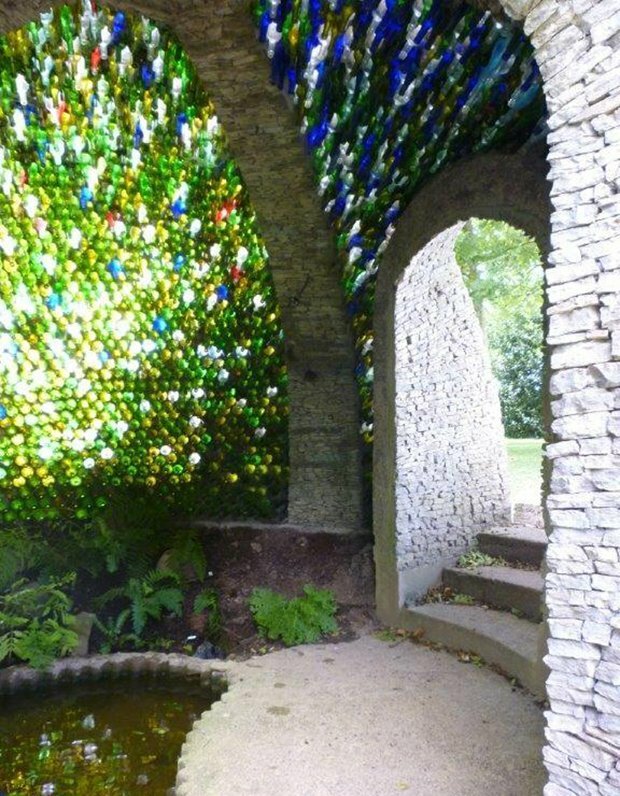 The Bottle Dome is one of several follies in my garden which is open to visitors every day through summer. 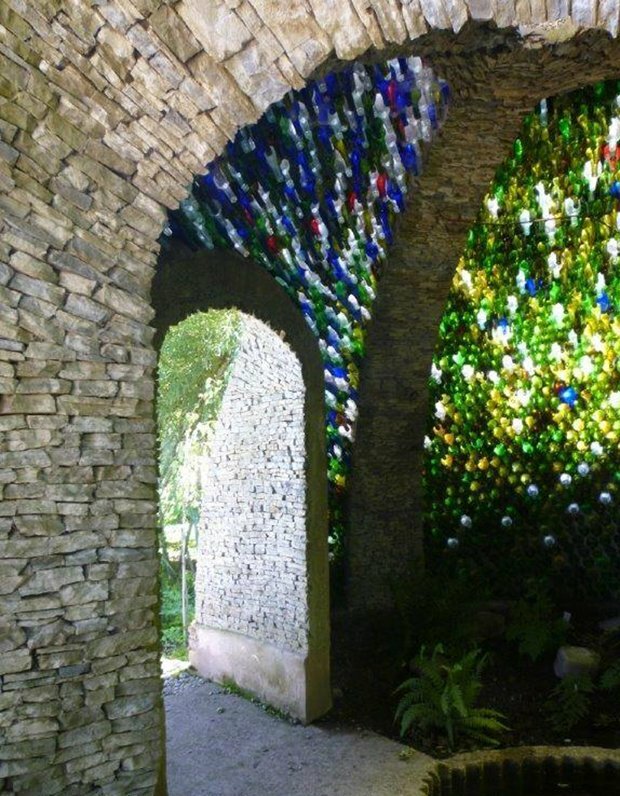 My shed is a dome made with 5000 glass bottles set between crossed arches – like a huge hot-cross bun. 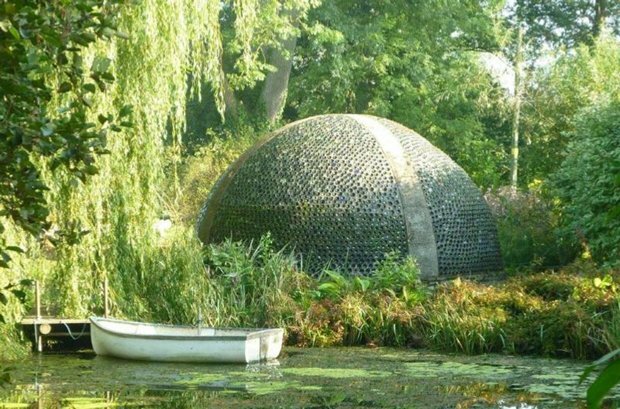 Some part of the glass hemisphere directly faces the sun at all times of the day, giving an extraordinary sparkle which is reflected in an interior pool. It has a bench inside and is quite big . . . 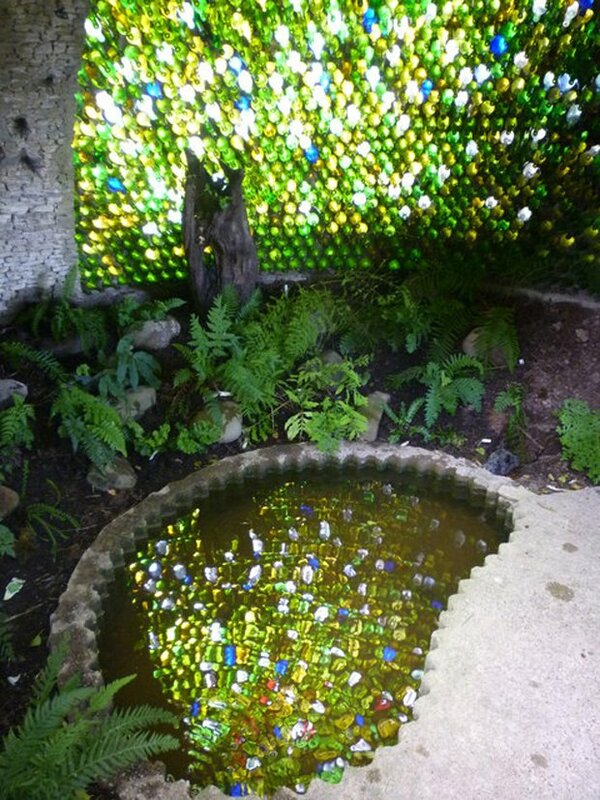 It is a feature for my garden. 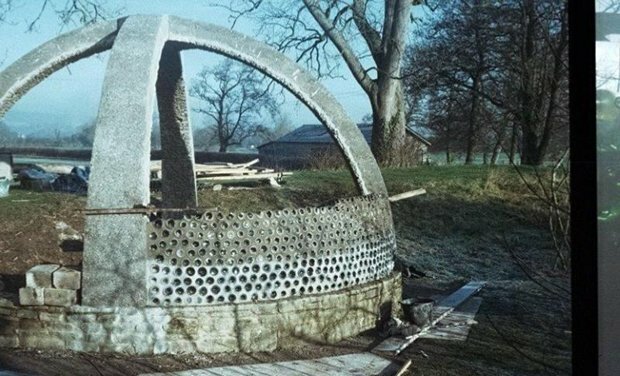 I made every part of the dome myself – and emptied a good few of the bottles! Sumptuous Sanctuary or Cozy Cabin? You Decide!